Freedom Rockz: Free @ Great American on Tax Day! Free @ Great American on Tax Day! Refund or not, you all deserve a cookie on Tax Day! Stop by Great American Cookies on April 15 for a free cookie! Incomes the sweetness @ Great American Cookies. 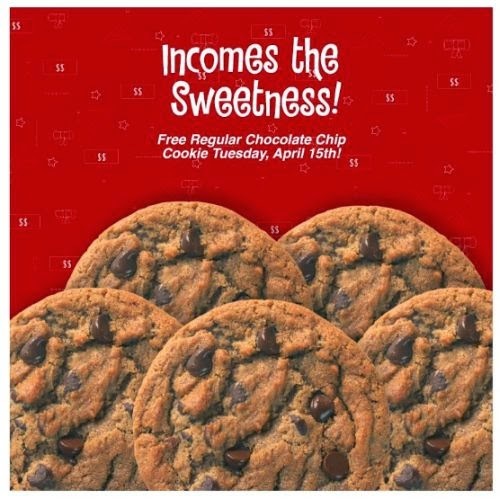 This Tax Day, they're giving out one FREE chocolate chip cookie to every customer (limit one per person). Click the link below to go "like" them on Facebook & get the details on this free offer.